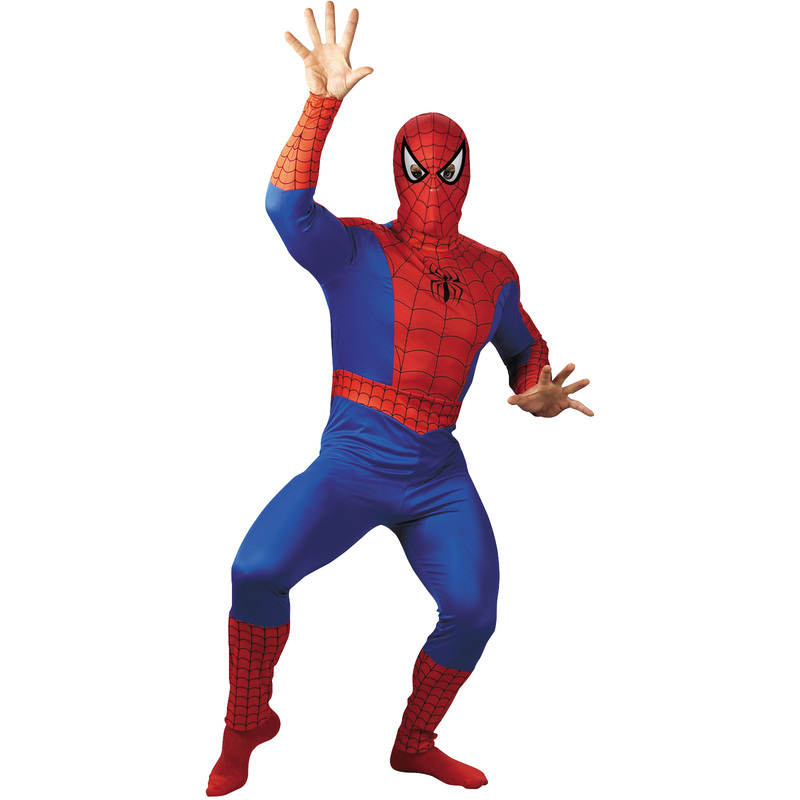 Officially licensed Spiderman costume includes a form fitting blue nylon bodysuit with zipper in back, and foam front Spiderman full over-the-head hood with eye holes, two small nose holes, and ties in back. Traditional Red accents with Black web detailing around arms, chest, waist, bottom of legs and hood. (Back of costume is primarily Blue, with Red accents and Black web detailing at waist, cuffs, and bottom of legs.) Red foot-covers/socks not included. This costume does not have muscle accents. This is an officially licensed MARVEL® product.